This picture of earth from outer space takes me back to the days I was taking Theology courses at Saint Augustine's Seminary of Toronto built along the Scarborough Bluffs. Having time on my hands, I took advantage of the sandy Ontario Lakeshore at the bottom and as I walked along the beach, a beam of light rose from the sand. Something in it was reflecting the sun. I kept my eyes on the spot and picked up the glass marble children play with as I myself did long ago. 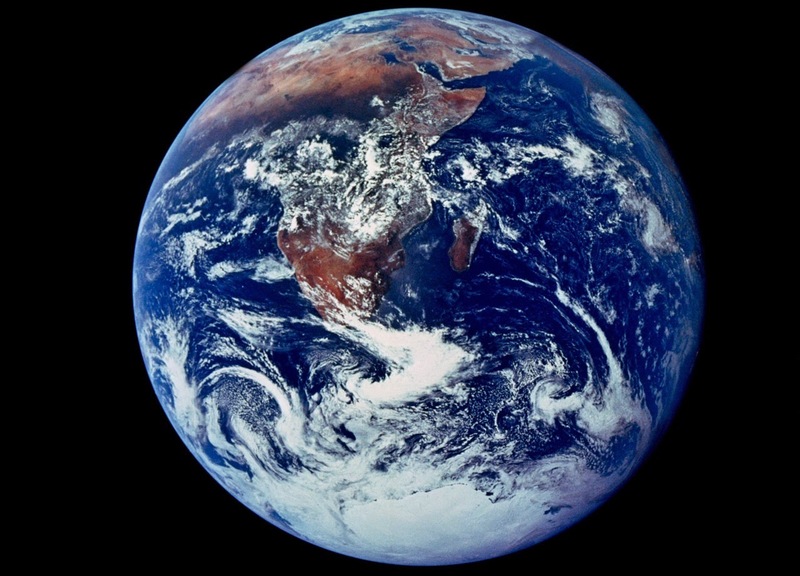 The marble I picked up came to be connected to this picture of the earth known as The Blue Marble Shot. As I inspected the little marble, I saw my reflection looking back at me from the middle of the marble. Excited to show it off to my fellow students and Professor Silani at the time, this little marble also became an instrument for teaching about the Great Commandment to my students. This was truly a found treasure buried in the sand (Mat 13:44). Through my poetry, I discovered that I was using the "Jesus Method." By tracing backwards from the product, the poem, to the analogies that led me to the perceptions in the poem and finally back to the attributes of the objects that I had found fascinating and a perfect match to grasp the new understanding. In the process, I also discovered that this Jesus Method fits the description of a metacognitive strategy, because it helps us to think about thinking to arrive at a new way of thinking: a new understanding, a new concept applied within the field or domain of expertise that continues to link to innovation and discovery in other fields of knowledge thereby having the capacity of transferring the learning and new understanding to other disciplines. I had named this metacognitive strategy "Being Metaphor." This strategy is integral to the new theory I'm developing called The Four Phases of Being: IQ3 -Integrity Quotient.